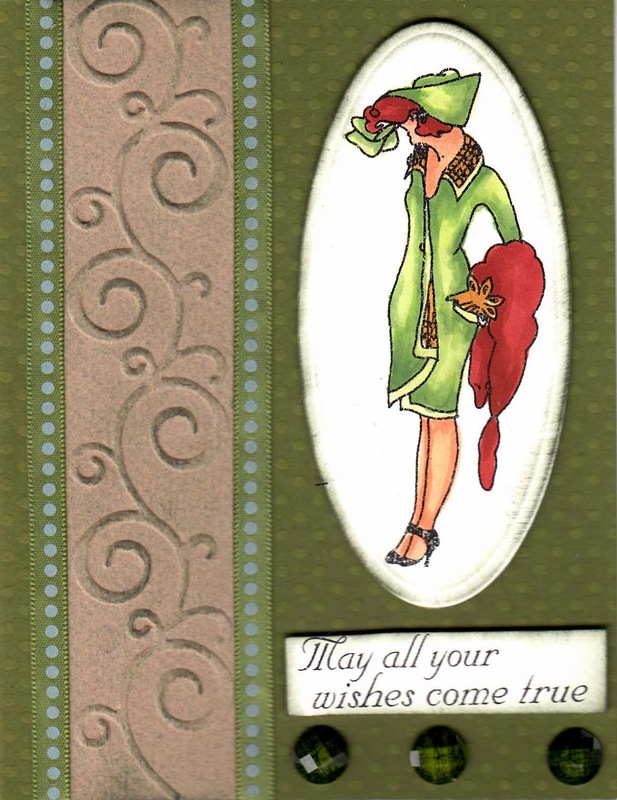 Here's a gorgeous Vintage Lady stamp named Mary from Queen Kat artist Beverly Cowan. Queen Kat has just started to show a set of vintage stamps again. This sentiment is actually among a whole set of sayings that are a digi-set freebie that you can get when you make an order from them, to see it, click here. I added some embossed embellishment and some fun ribbon from K&Co and used some gorgeous Bazzill Swiss polka dotted paper. I hope you have been enjoying all the vintage stamps you have been seeing on the blog lately! Great vintage style and colours. Fun New Stamp in the Store: Ribbon Girl! Royal Court Call! Apply Now!